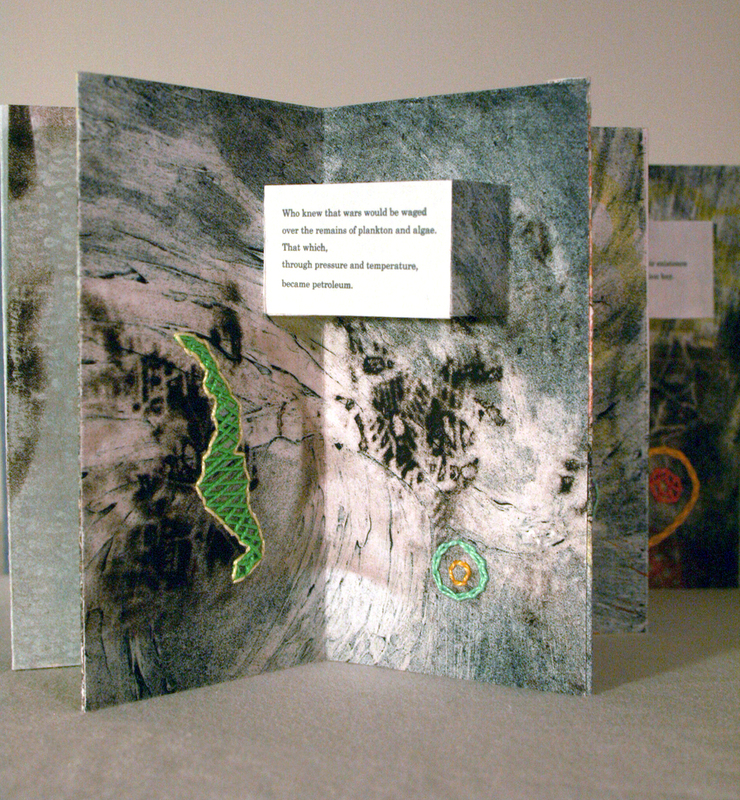 Artist book, intaglio, linoleum block, wood block, collagraph, and digital prints, and embroidery, 8 in x 3 in x 3 in closed, 8 in x 36 in full spread. 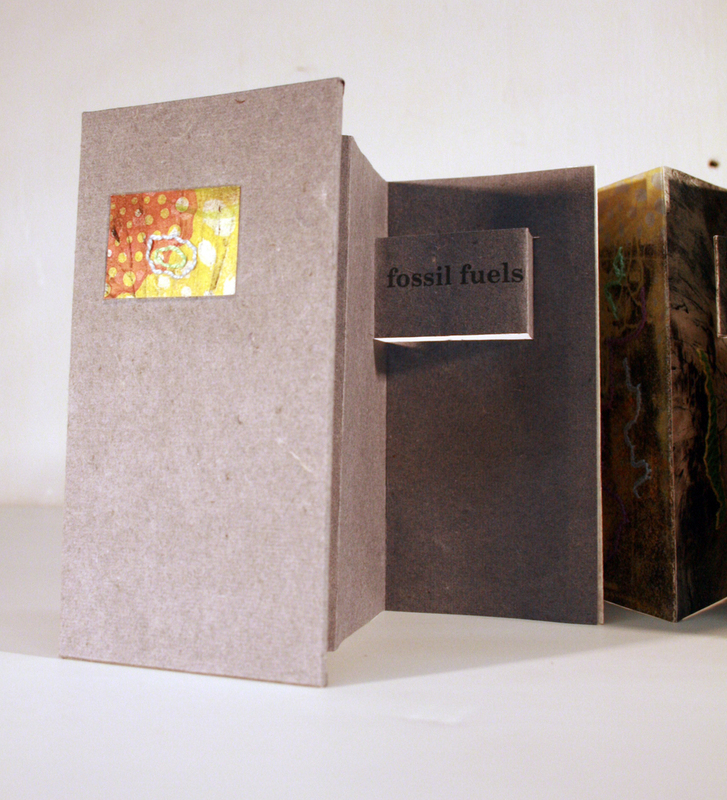 This artist book begins with the misconception that petroleum is the remains of dinosaurs. It clarifies that it is the remains of single-celled organisms, such as plankton and algae, buried in sediments. 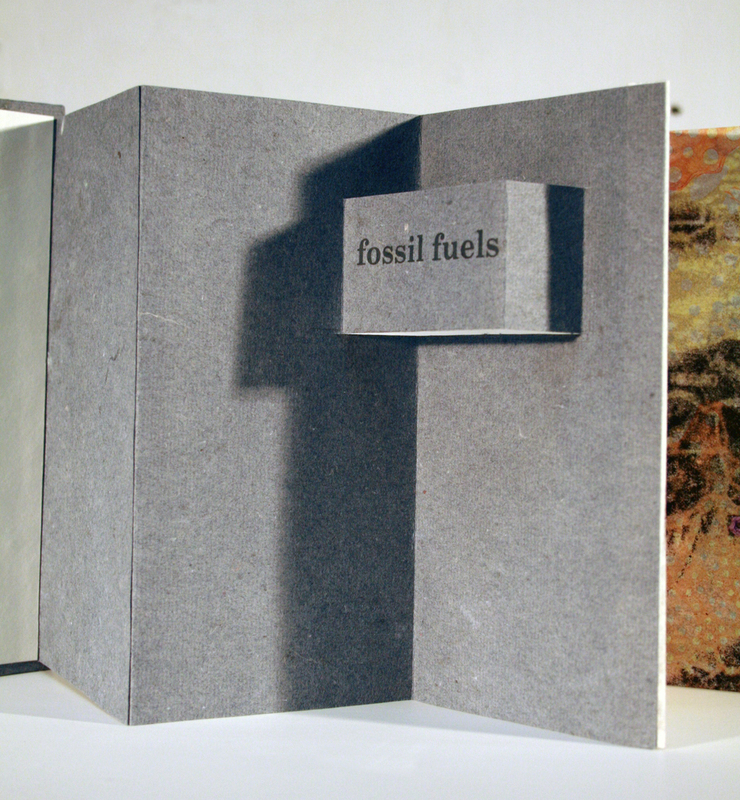 Over millions of years, as temperature and pressure increase, their biomass is transformed into crude oil, a chemical humankind is consuming at an unsustainable rate, while such consumption in turn contributes to pollution, global warming, and war. At the conclusion of the book, it ponders what will become of human remains over the millennia, what use they might serve, and who will be searching for them.